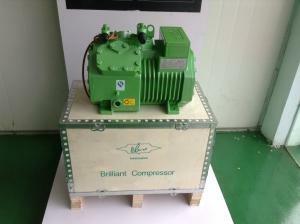 Bitzer refrigeration compressor 4FC-3.2 , Semi Hermetic refrigerator compressor for sale – Bitzer Piston Compressor manufacturer from china (102831111). 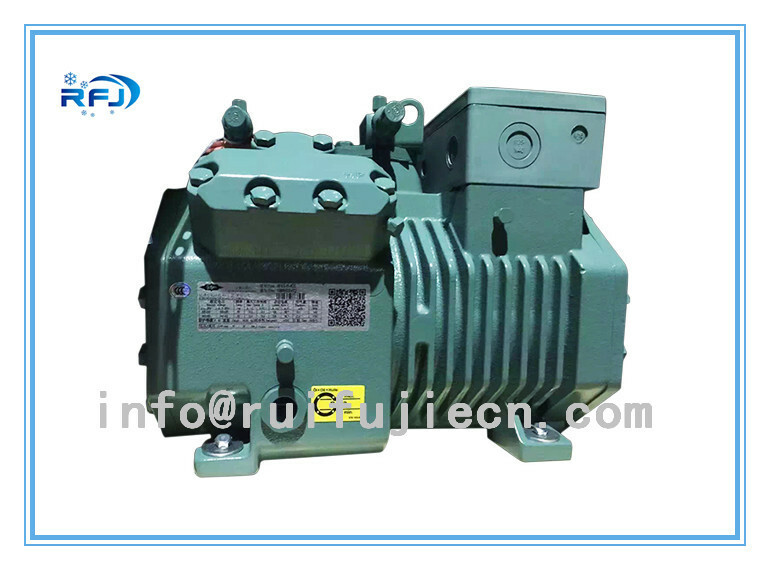 The Compressor uses R22 as refrigerant. R134a, R404a, R407b and R407c are also approved. 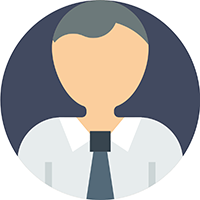 R12 and R502 are not suggested due to the international environment protection requirement. 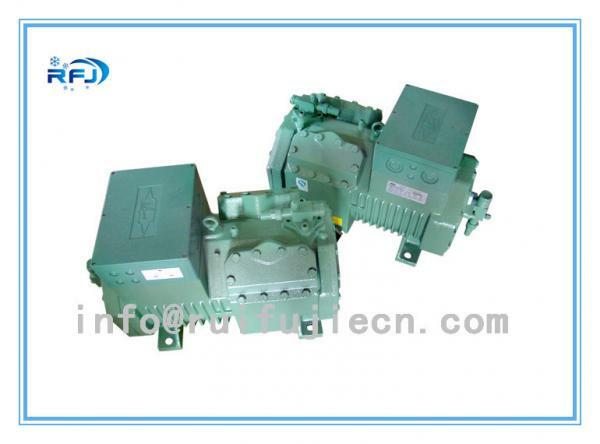 The machine can be used at a low or high condensing temperature. 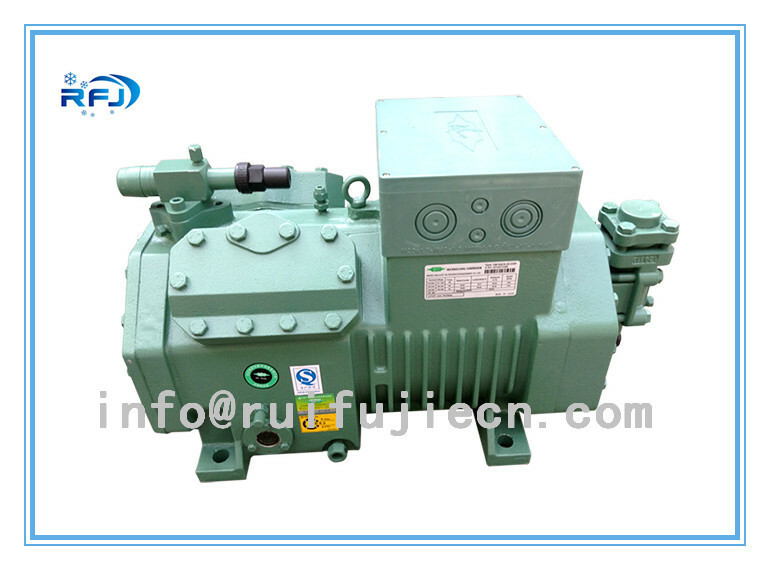 The compressor has a scientific structure design, strictly chosen material and precise procession and it is strictly inspected. The factory has obtained the National Compulsory Products CCC Certification, the National Industrial Products Manufacture License, and the ISO9001:2008 International Quality Supervision System Certification. our semi-hermetic reciprocating compressors cover the entire spectrum of applications of conventional, chlorine-free HFC as well as natural refrigerants. They distinguish themselves by a robust valve plate design, a high quality and wear resistant drive gear, are easy-to-service and offer good speed control at minimum energy requirements as well as extremely smooth running. 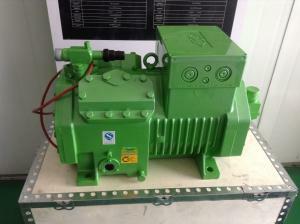 In addition, they incorporate an efficient, suction gas cooled integrated motor. The OCTAGON series of compressors additionally excels by extremely compact dimensions and even further increased smooth running.